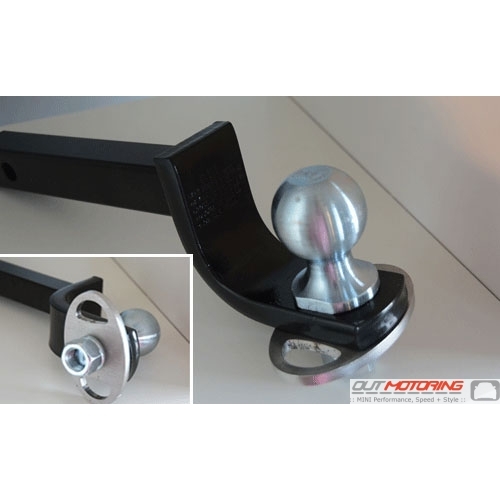 If you have purchased a Mni Do More hitch or other brand of hitch that does not have chain loops we offer this oval stainless steel plate that has chain loops. This plate is designed to be installed between the drawbar and the drawball and has a hole in the middle that is the same diameter as the drawball shank. Does NOT include the drawbar or drawball (Shown in the photo for reference only).